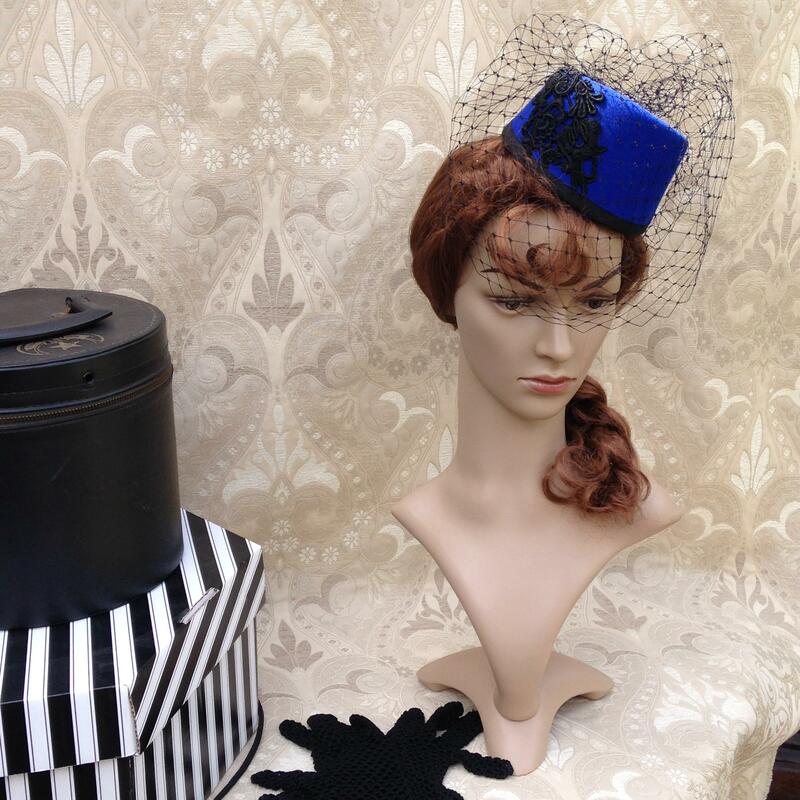 The Historic collection specialises in hats and bonnets for both re-enactors and for those interested in vintage styles. 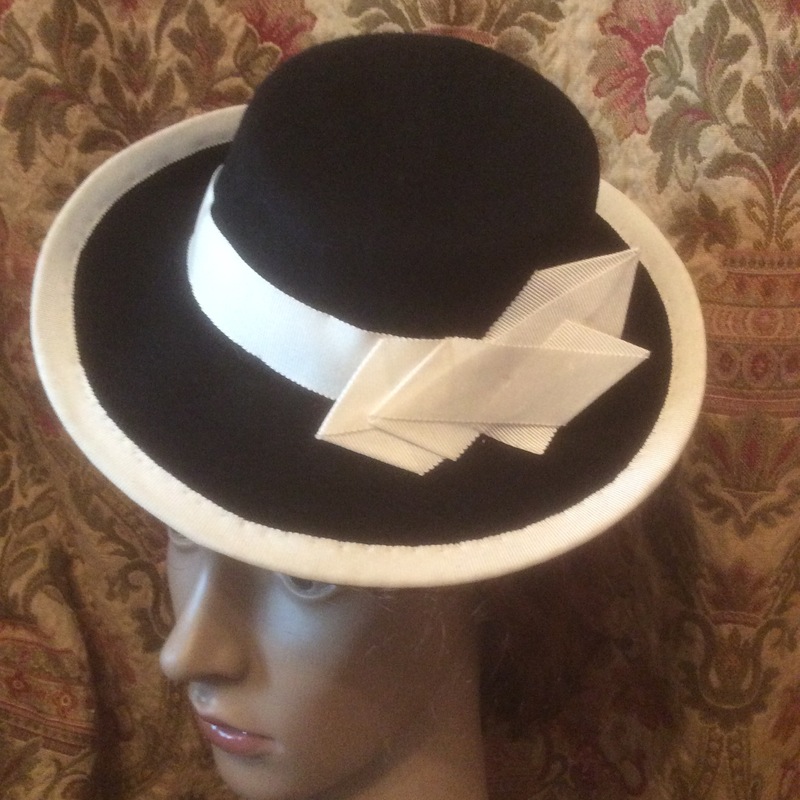 The gallery below gives an indication of the types of hats we are able to make, but if you have something else in mind, then just ask and we should be able to put together what you want. 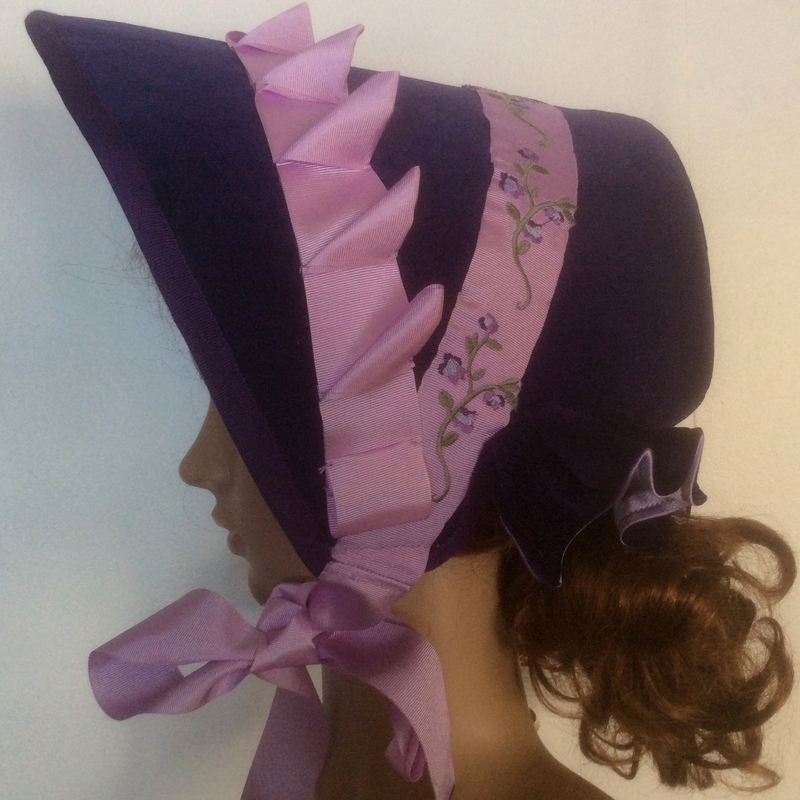 We supply bonnets and caps to museums such as the ss Great Britain and have provided hats for some TV productions. We also provide historic military replicas for discerning re-enactors and exhibit at re-enactment markets. 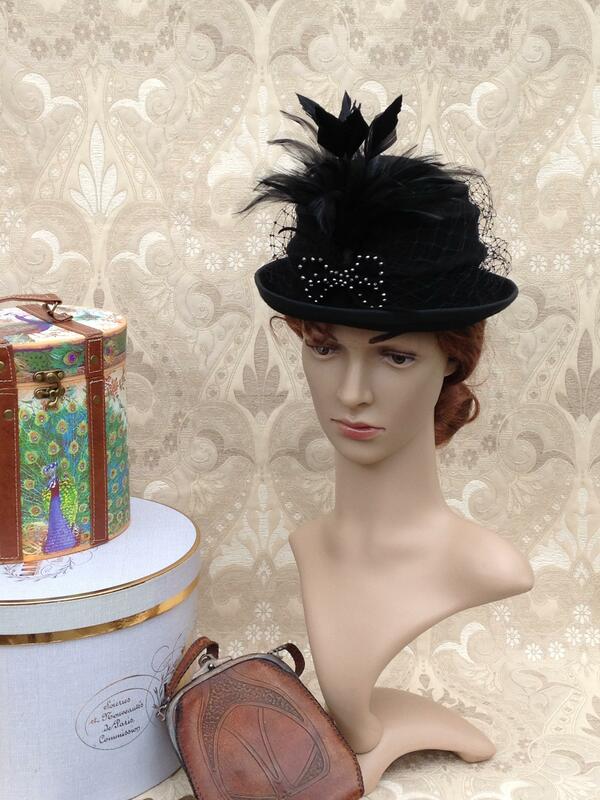 Vera is a classic 1930s design which would look perfect with that two-piece suit. 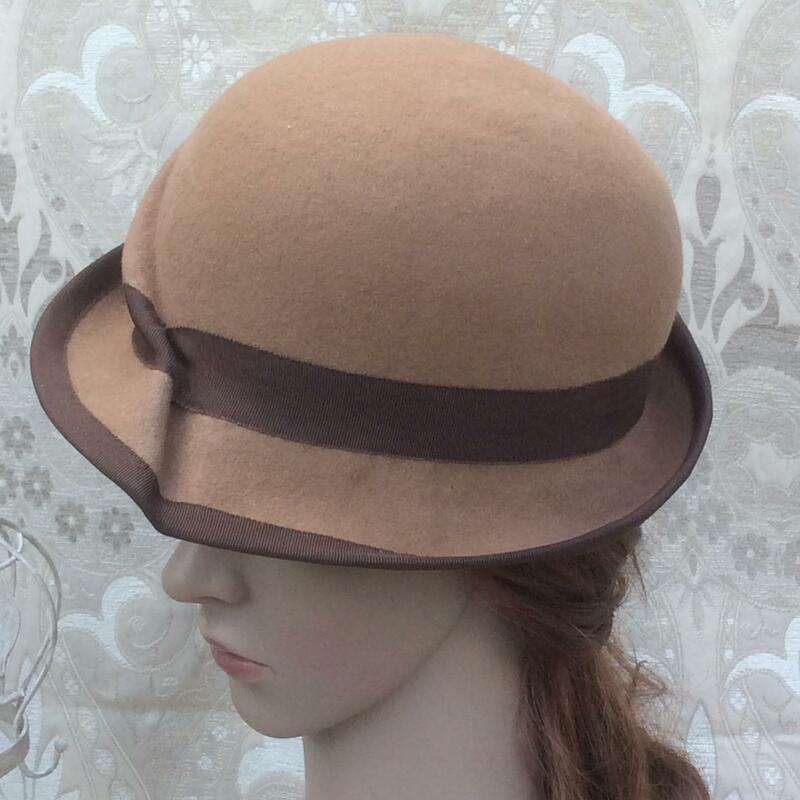 Made of beige felt with an hand-crafted pleat to the crown. 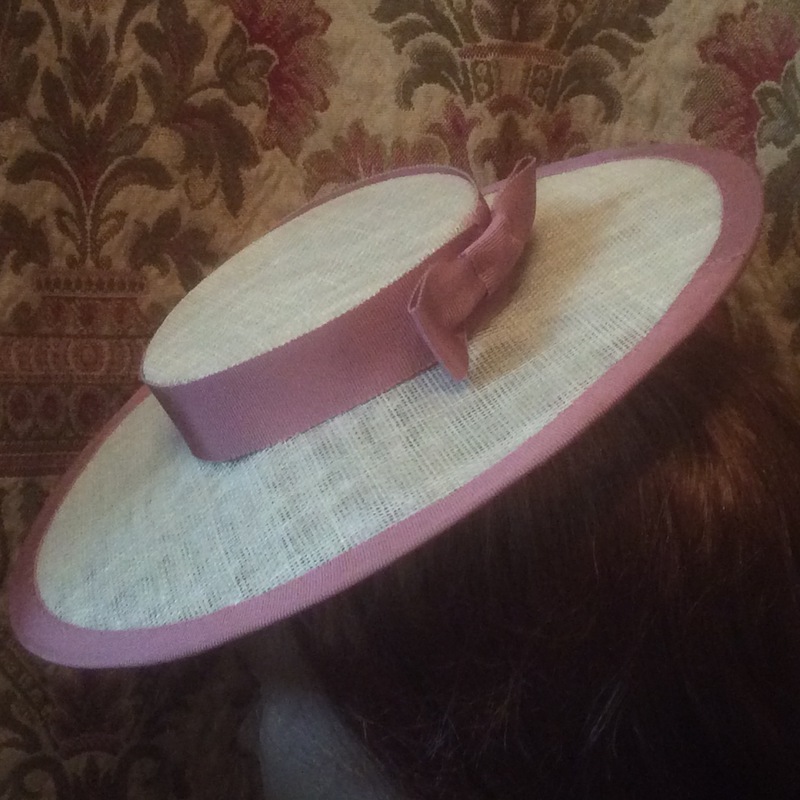 Finished in petersham ribbon to both the edge of the brim and the crown. Perfect simplicity.. 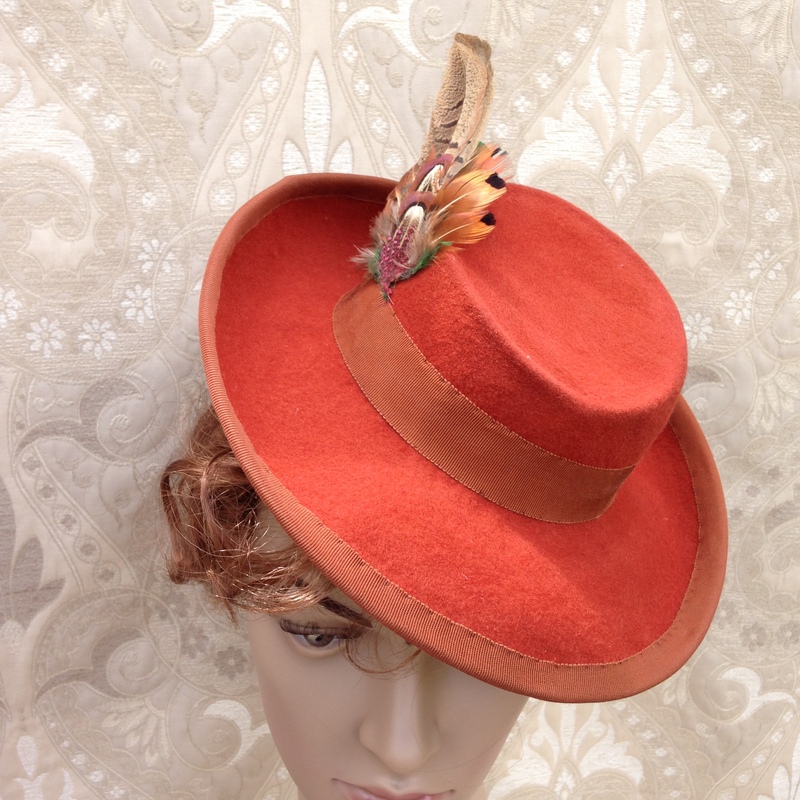 Created in coloured felt with a petersham band. 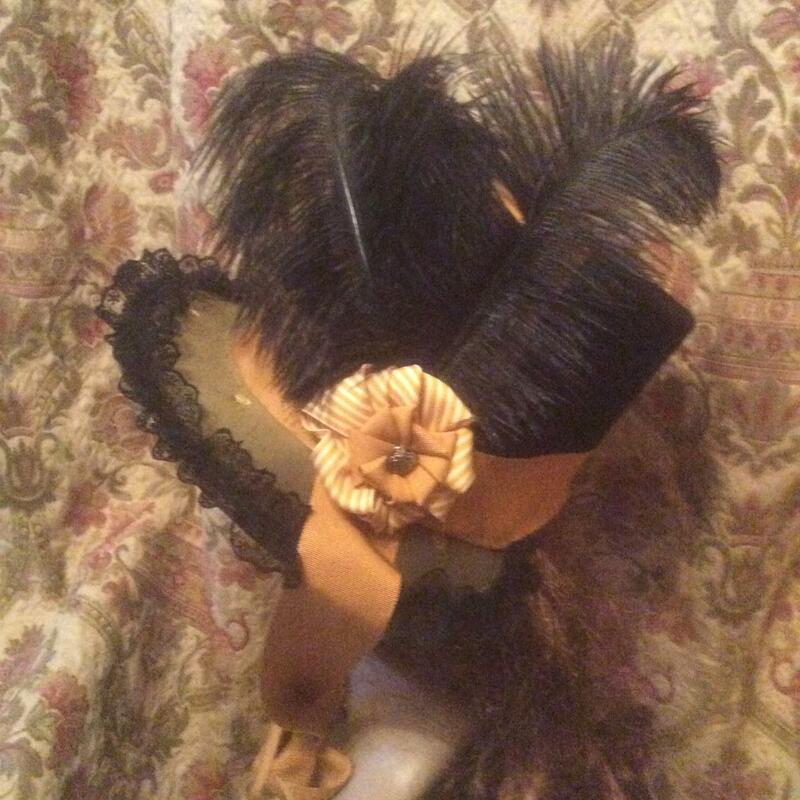 The crown has a gentle slope to the front and it is held on the head by a comb placed in the back (a small elastic to grip around the back of the head can be added on request). Again, this can be created in a range of colours and other decoration added as desired. 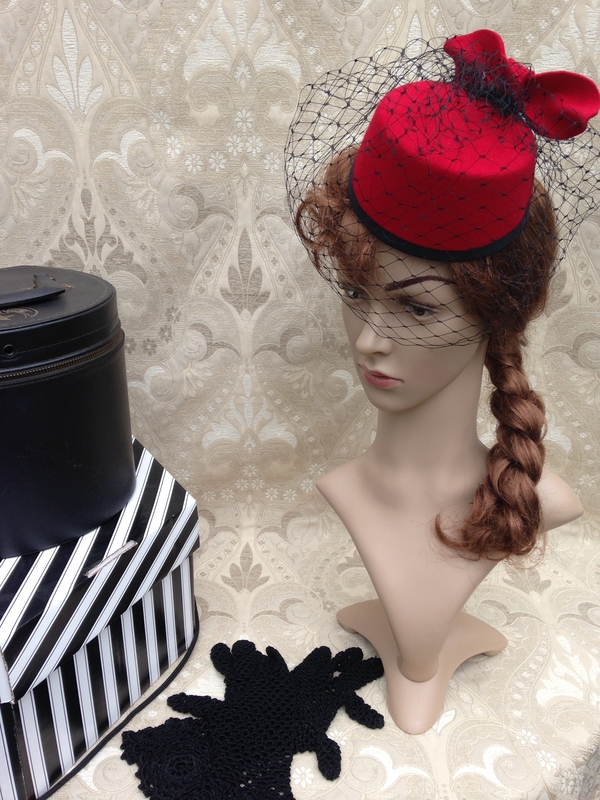 A very versatile little hat. Can be worn as casual or formal wear. 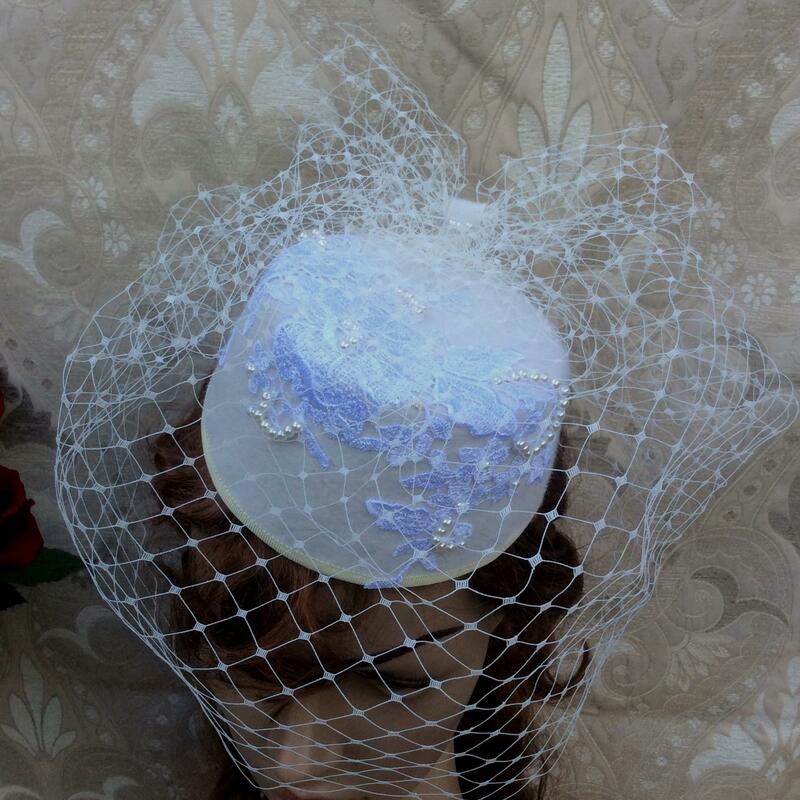 Available in other colours and in ivory, is an option for the bride. The cost of Charlotte is from £60, but is dependent on decoration. 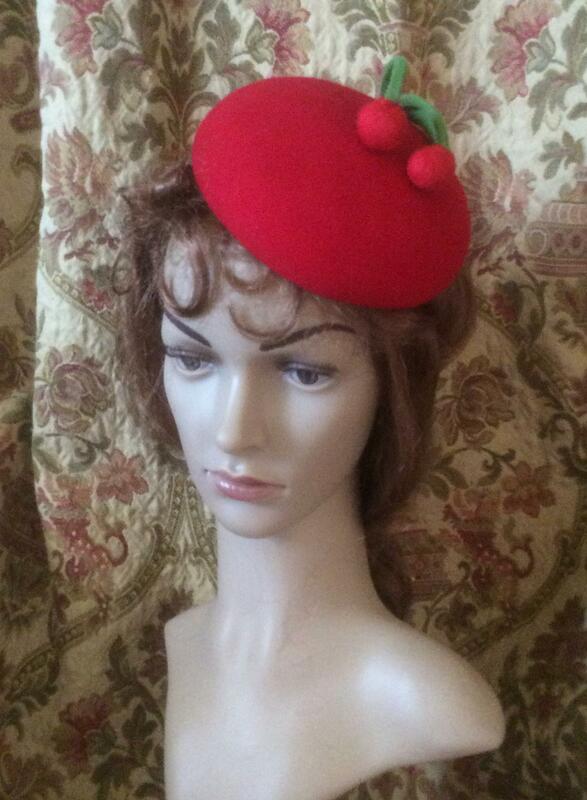 A classic 1950s style button hat with two red cherries. This button can be made in a range of colours and with variations in decoration. Some examples are given here. 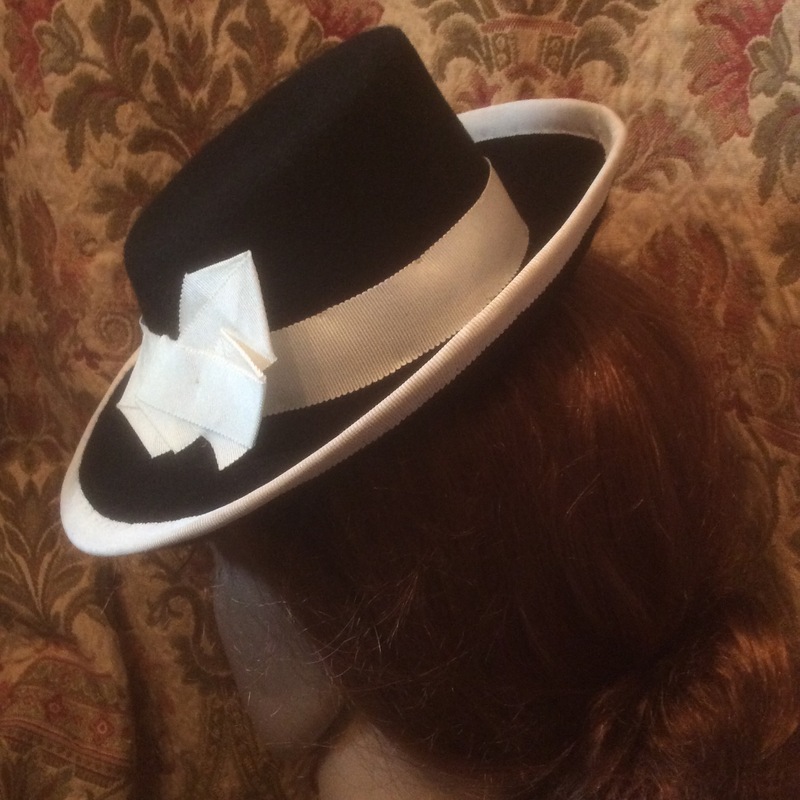 A midi style boater which perches on the top of your head. 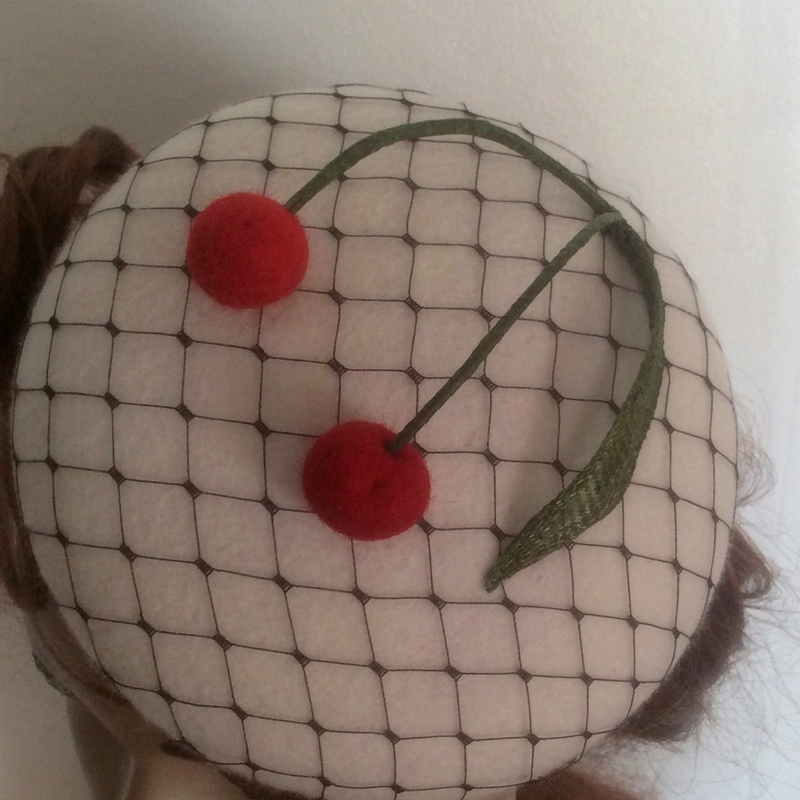 In a 1940s style , just enough to keep the sun off your eyes and look stylish at the same time. 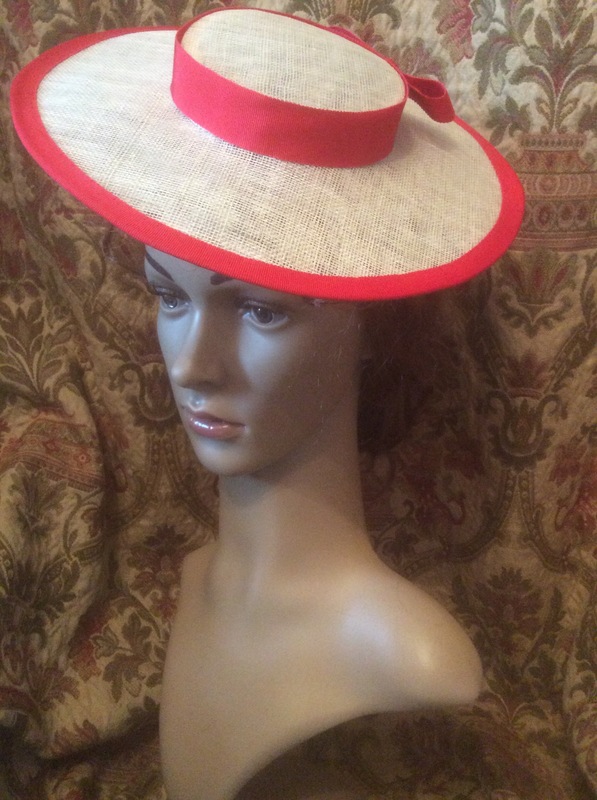 The boater is created in cream sinamay with a ribbon colour of your choice and costs £60. 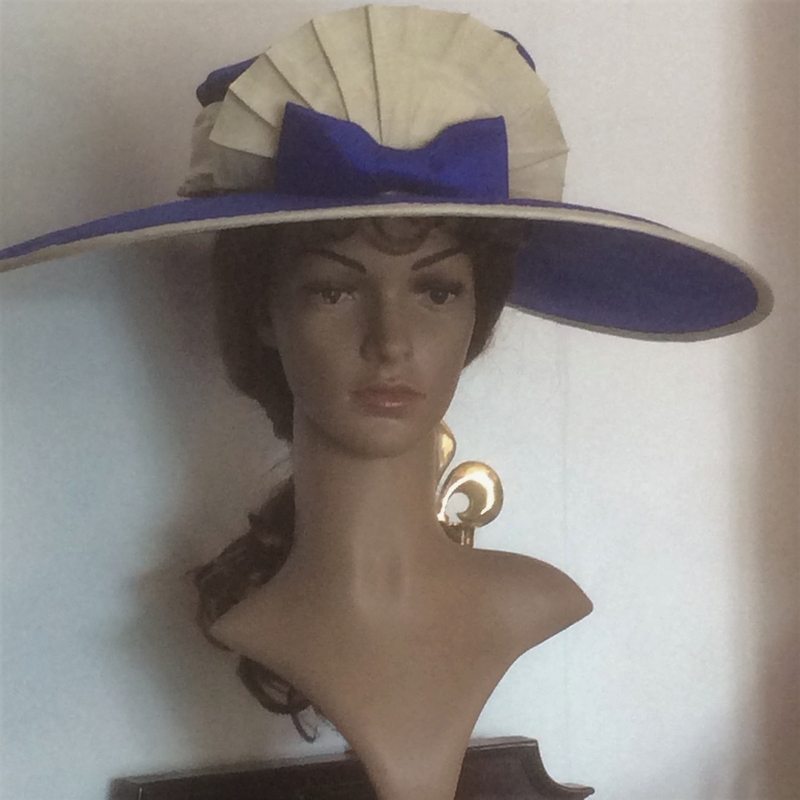 A copy of a 1920s hat created in blue silk with an ivoy silk fan decorating the top. The crown is a bag, so very reminiscent of the titanic era. 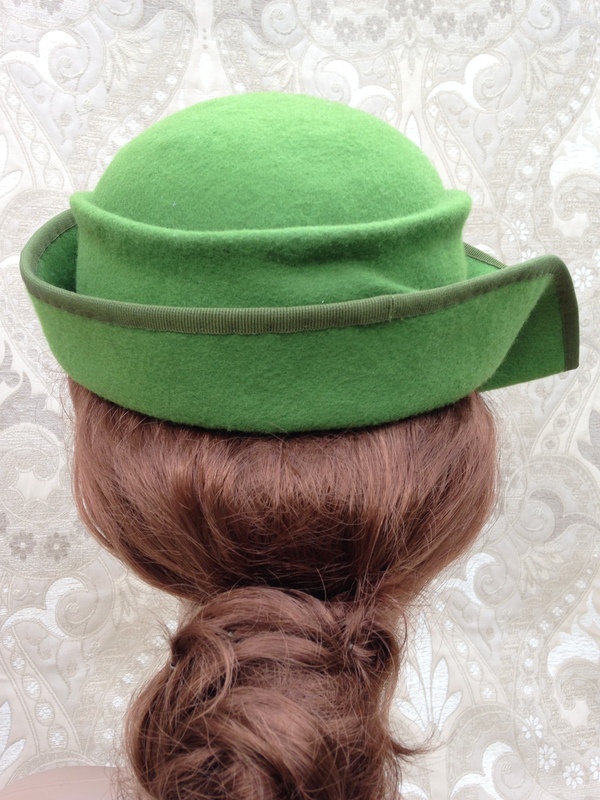 Ivy is styled after an Edwardian hat and is created in green felt with a hand-shaped brim culminating in a fold over the right ear. 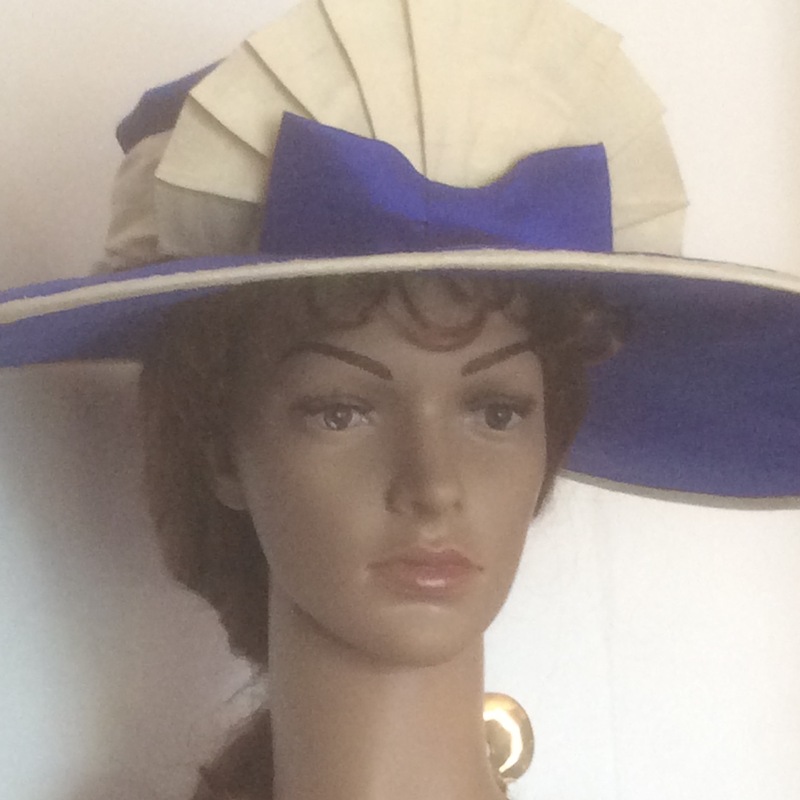 The brim is edged in petersham ribbon and the decoration is a half-cockade in green and beige petersham. 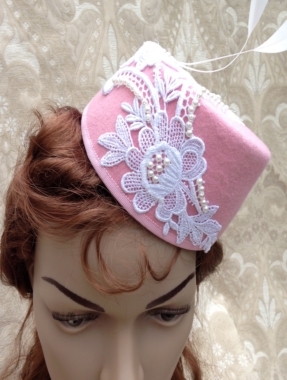 Again, this can be made in a variety of colours to suit that special outfit. Edwardian lines are very clear in this design. 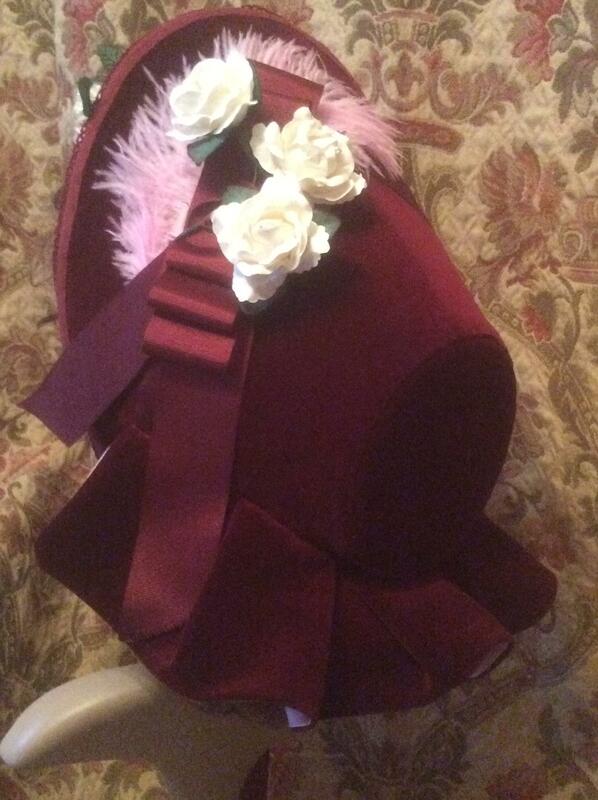 Made in good quality felt which has been hand moulded at the crown. 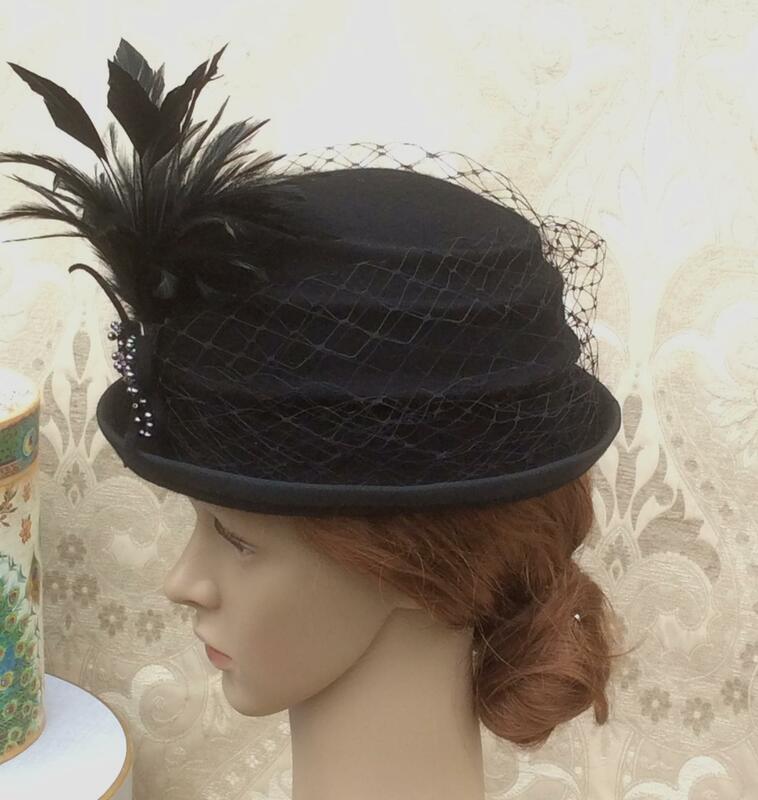 A large feather arrangement at the forehead and a black felt bow decorated in black pearls completes this stunning hat. Hannah starts from £120 and can be made in a colour of your choice. 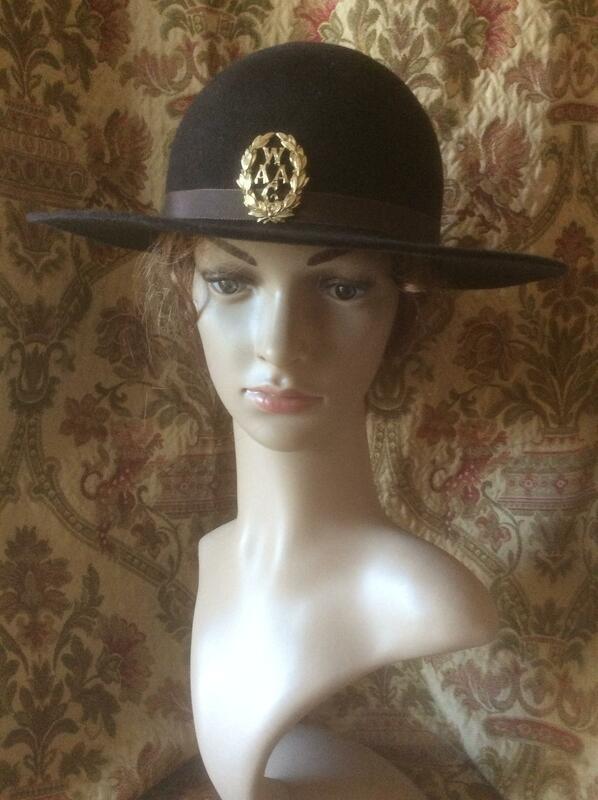 First World War Women's Army Auxilliary Corps replica hat, used from 1915 to 1917. 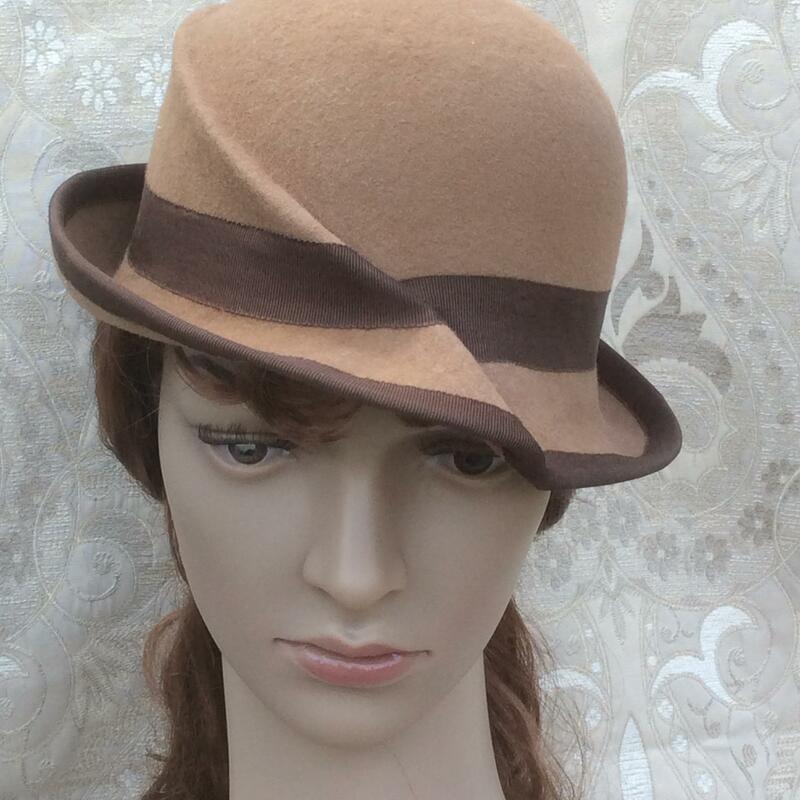 Created in brown felt with a Petersham brown band . 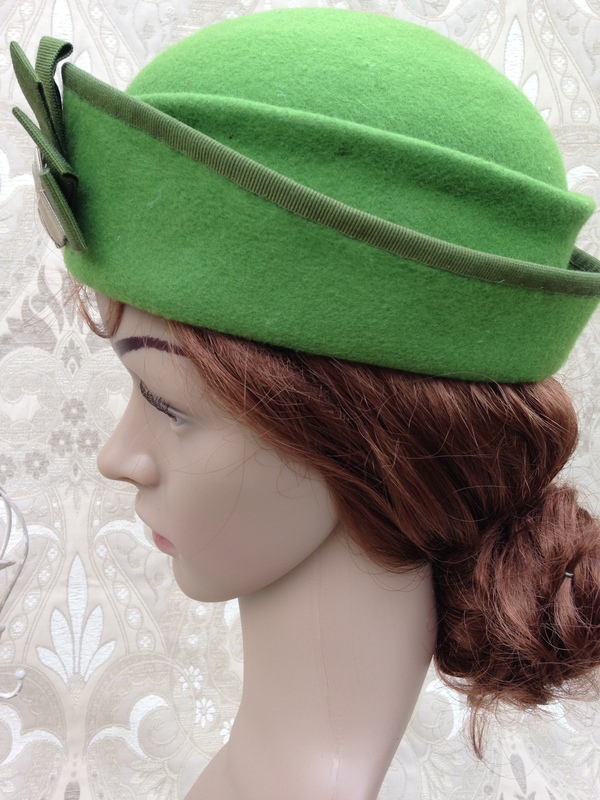 The stylised beret of the First Aid Nursing Yeomanry. 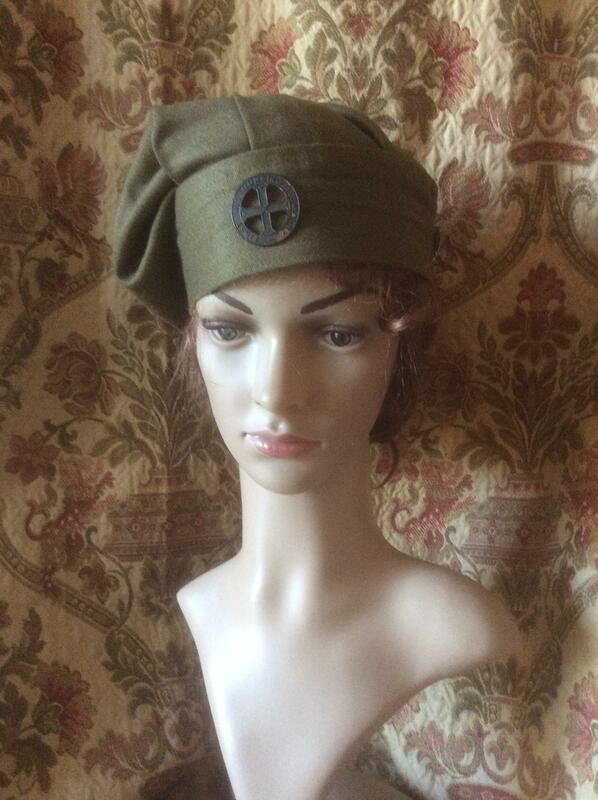 Made in khaki barathea with a large headband, as in the original. 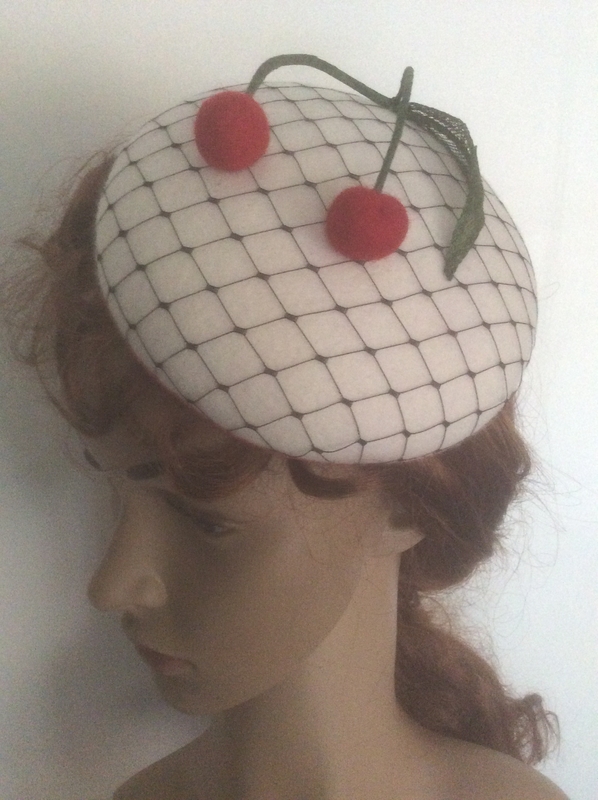 There were two versions of this beret, one with a single headband and one with a doubled over headband - we can make either. 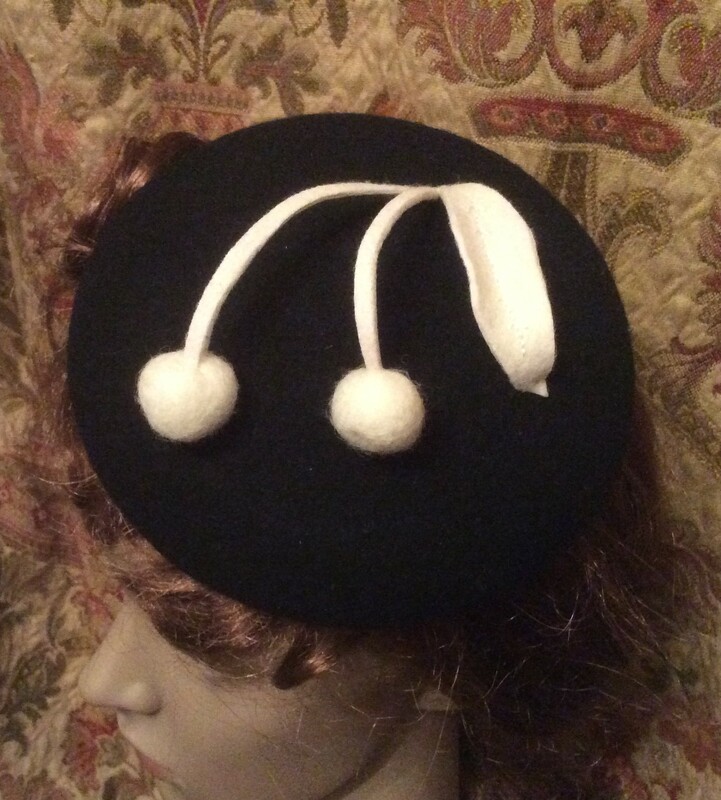 This beret is POA as the source of the material for the hat can be variable. This was a special request from a customer. 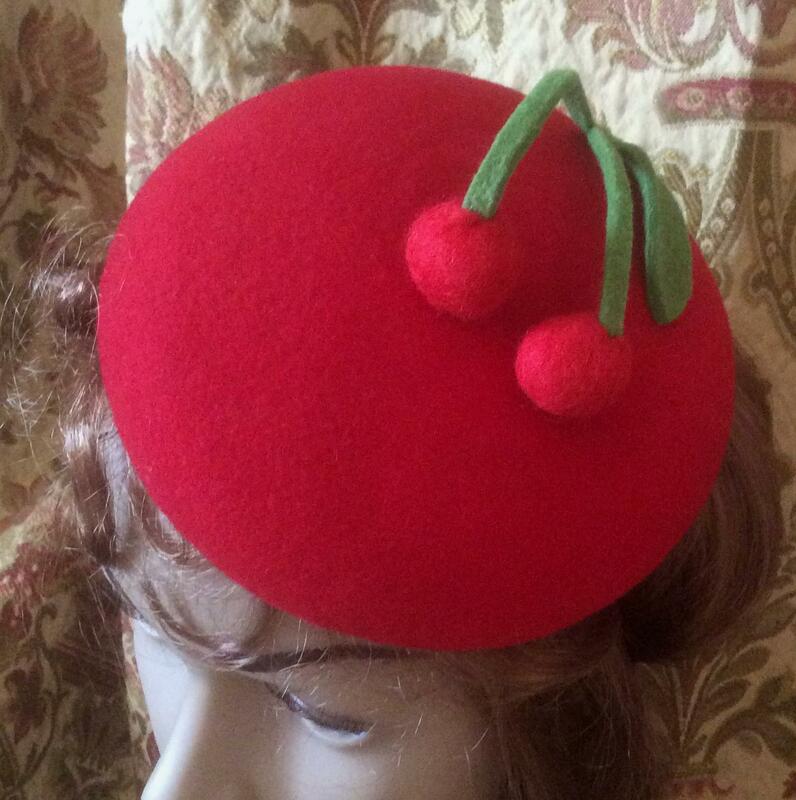 If you have a period hat you wish to replicate, just get in touoch. 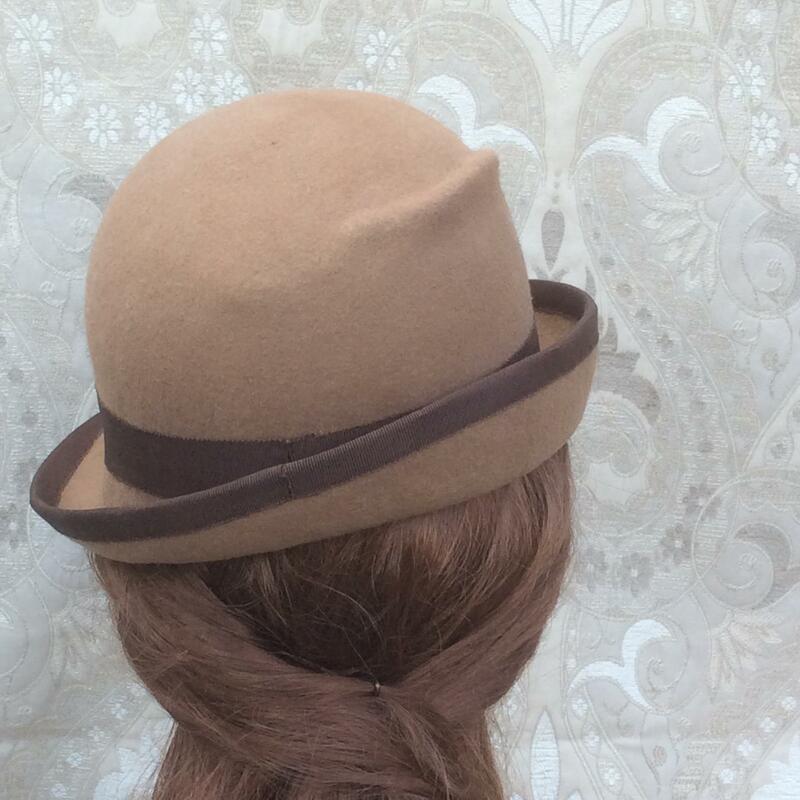 We do our best to recreate period hats as closely as possible to the original. 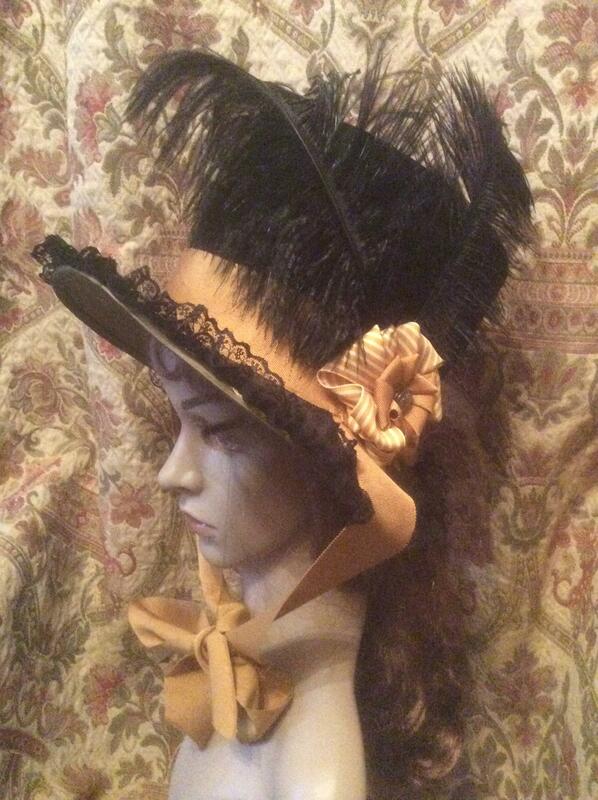 Lottie is a copy of an 1880s design from the Victorian bustle era. Hand formed purple felt with purple and green trimming. 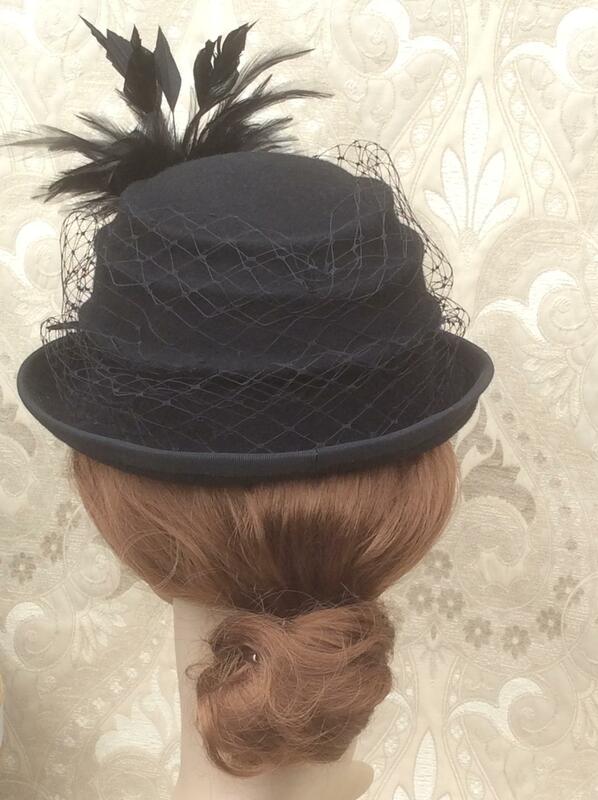 Perfect for historic interpreters of the Victorian era. Lottie starts from £90 but price will depend on decoration. 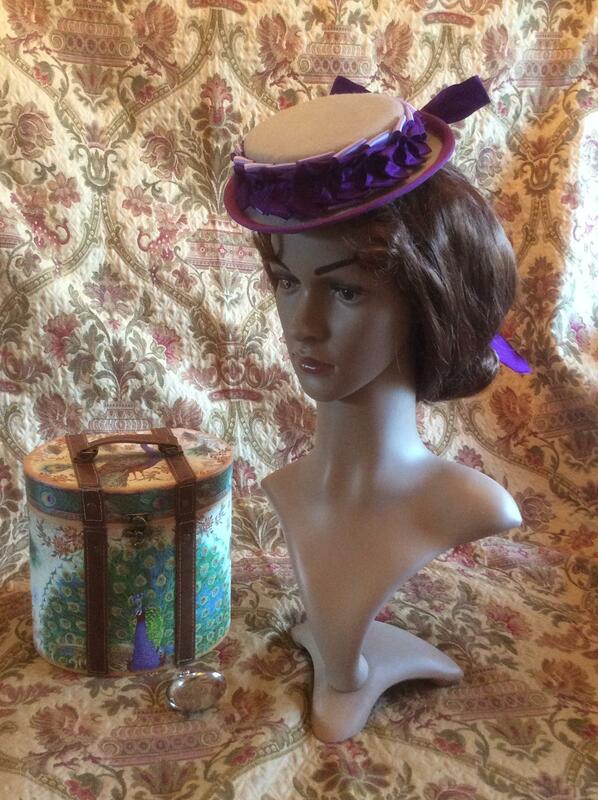 Based on an original Victorian hat from 1874 this little 'percher' is on a beige felt base with lilac and purple ribbons decorating the brim. 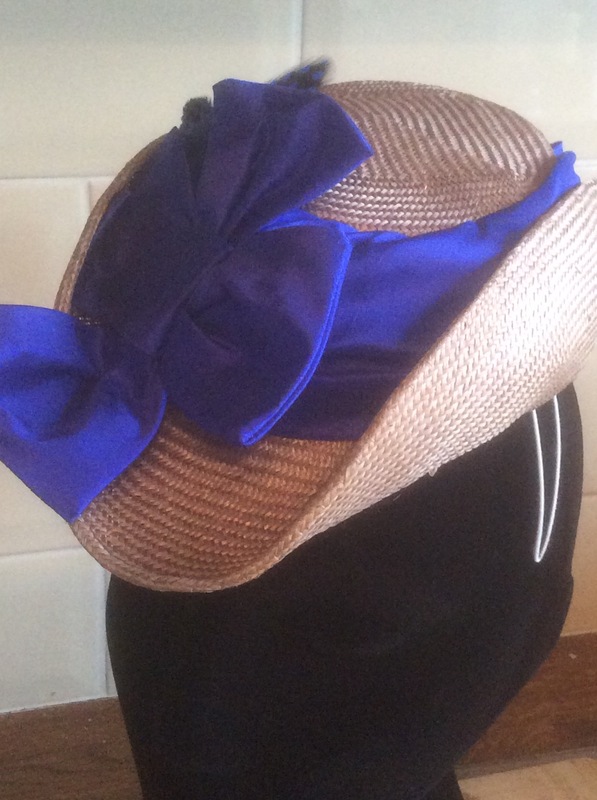 Violet is a midi hat and therefore is priced at £90. 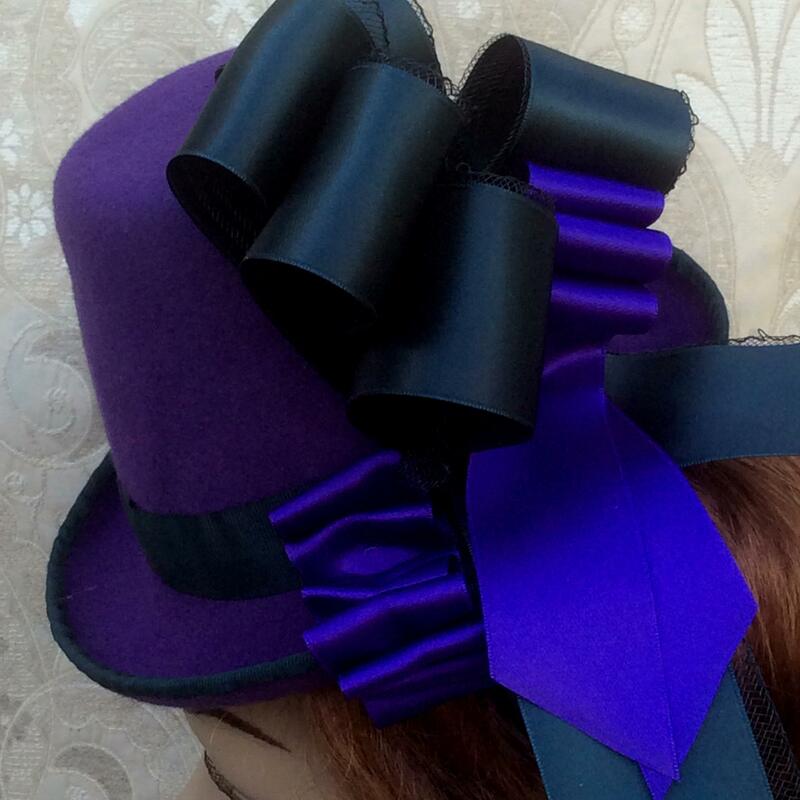 Violet can be decorated in a variety of ways, including curled ostritch feathers - let your imagination loose! 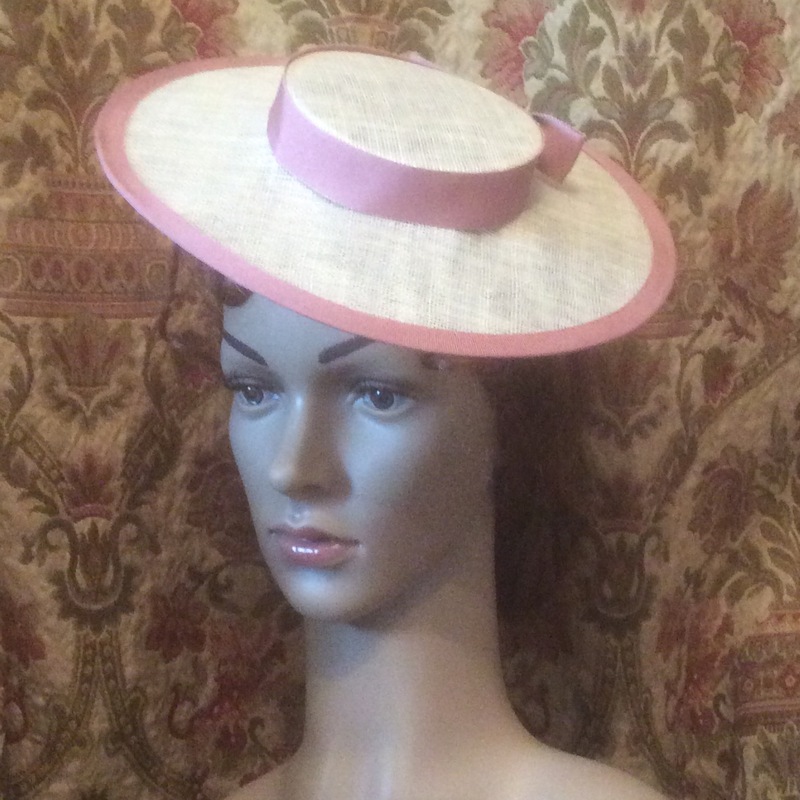 Based on the empress hat of the late 1850s, this straw version in pink is decorated with burgundy and pink ribbon and a pink ostrich feather. 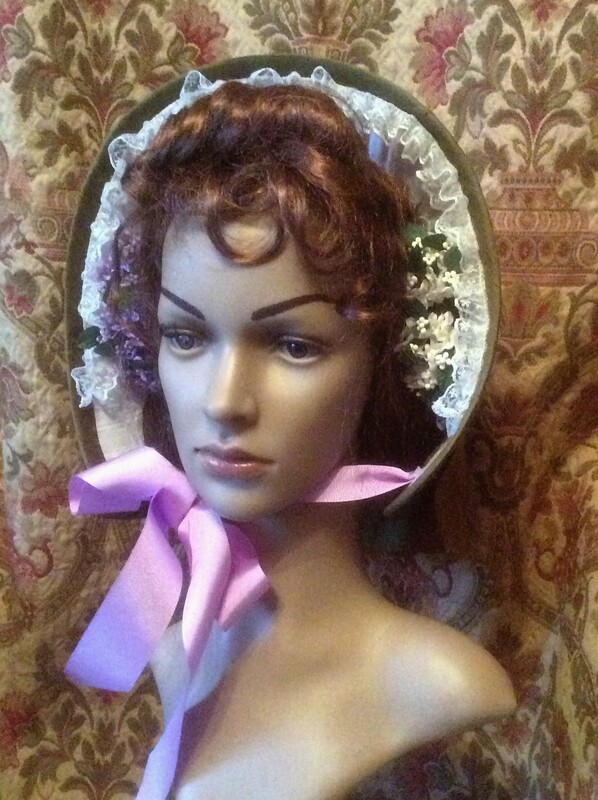 The spoon bonnet was very popular during the 1860s and is easily identifiable by the peaked brim which was decorated with artificial flowers. 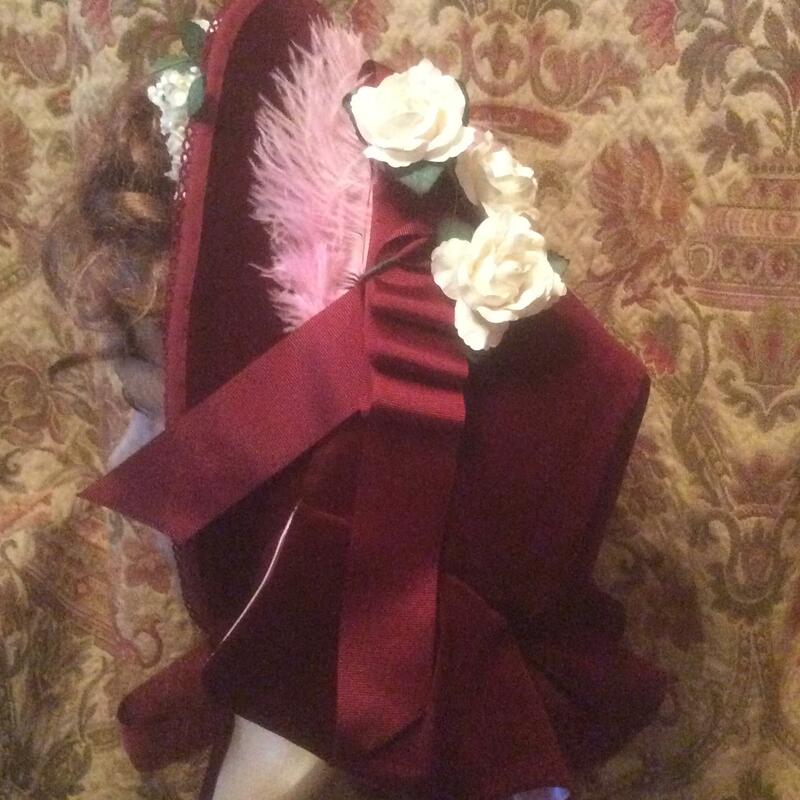 This version is covered in burgundy velvet and decorated with petersham ribbon in pink, with a pink ostrich feather and artificial white roses. 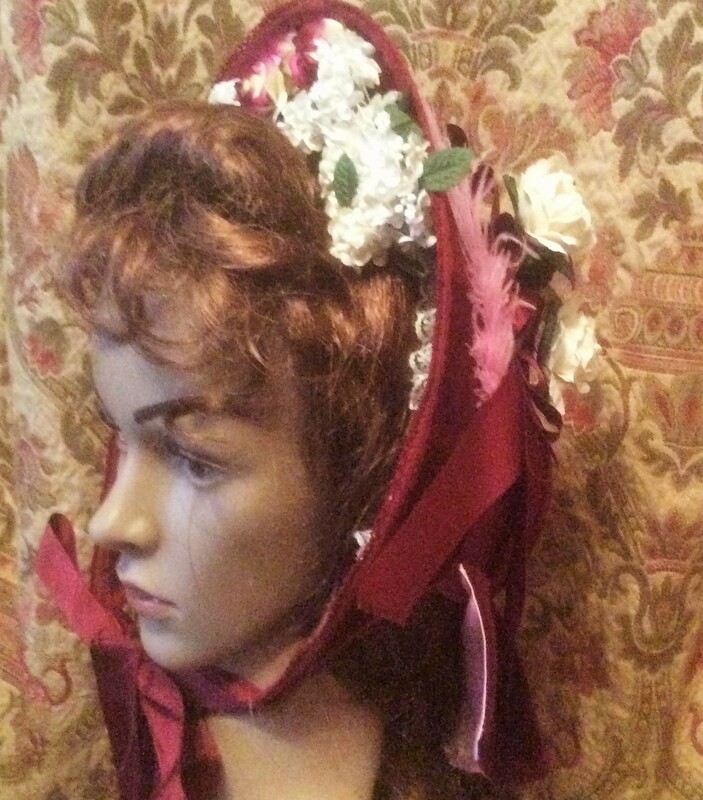 A typical bonnet from the mid-19th century with its round brim shape and decorated inside with artificial flowers each side of the face. 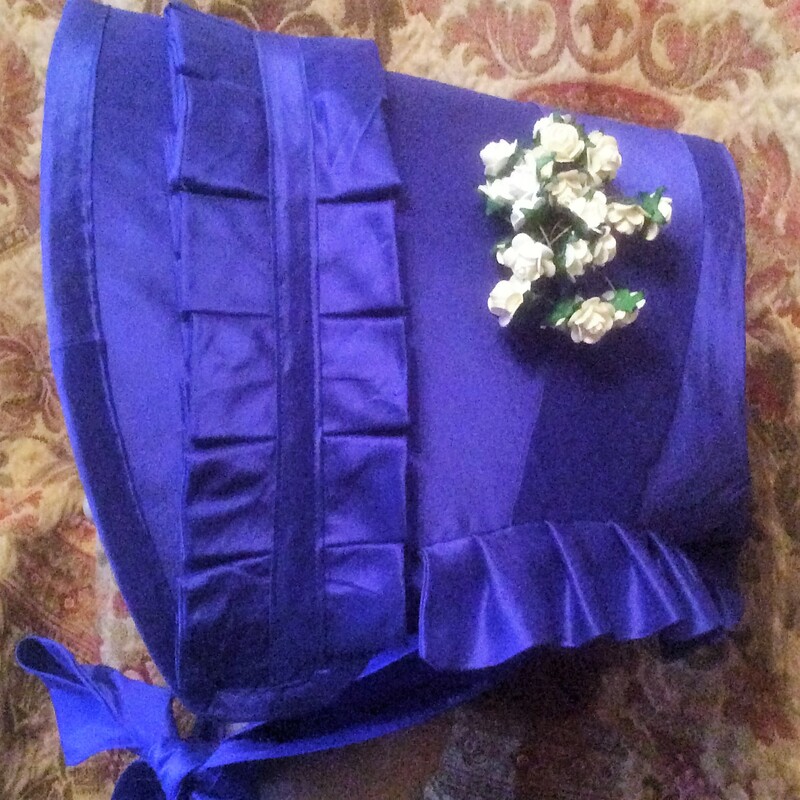 This example is made of lilac silk with a pleated white silk interior and green silk ribbon. 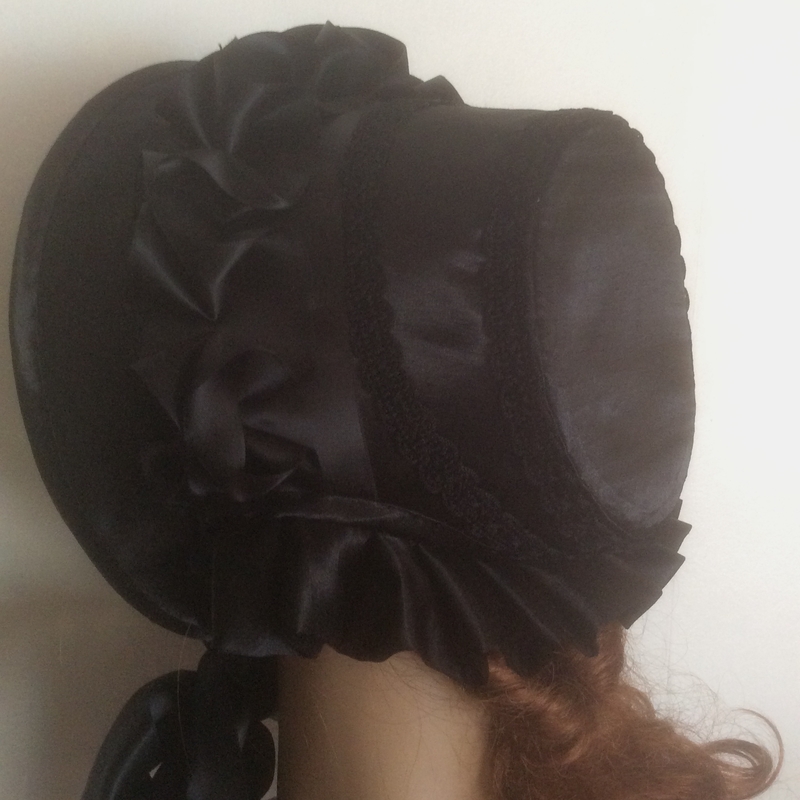 This 1850s Mourning bonnet was a common sight. Full mourning in black was expected for a close relative, there being strict social rules for everyone to follow on the death of a relative. 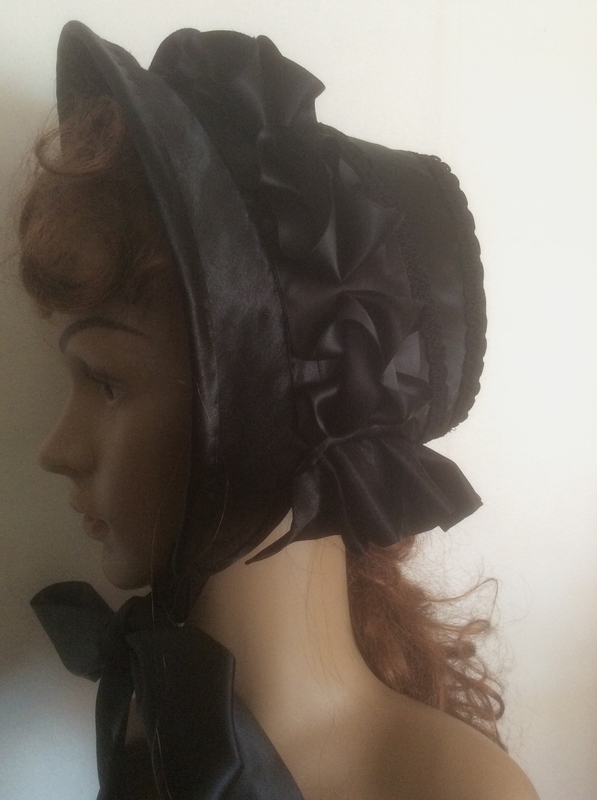 This version is in black satin with ruffle decoration and sporting a mourning veil if required. 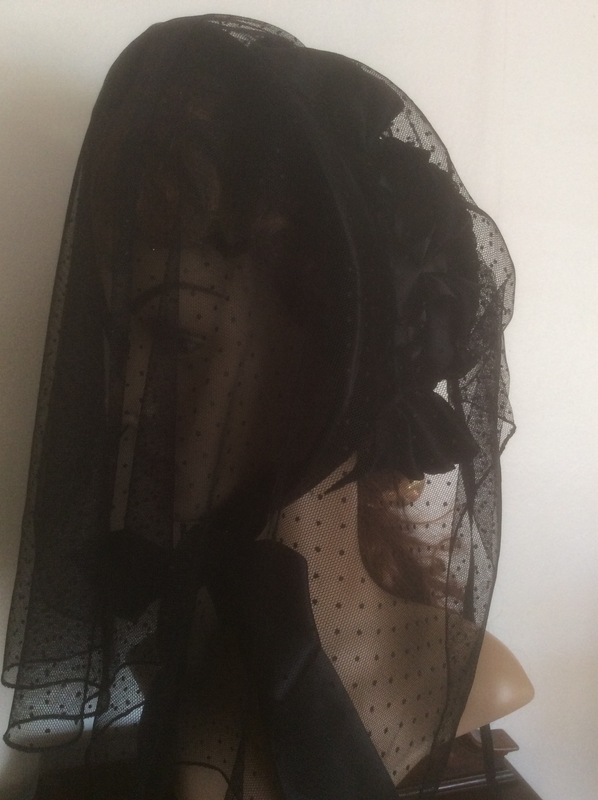 The mourning bonnet and veil starts at around £160, dependent upon decoration. 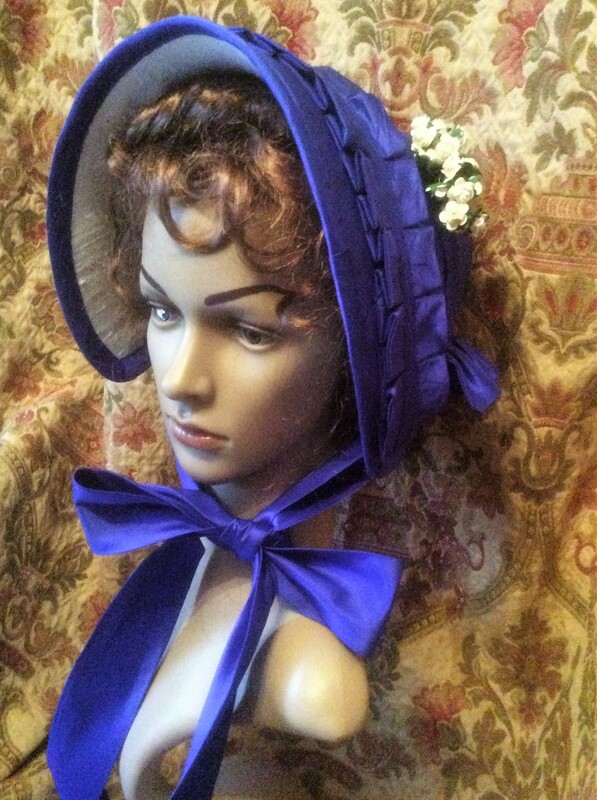 We offer a service for museums wishing to offer authentic costume opportunities for their visitors. 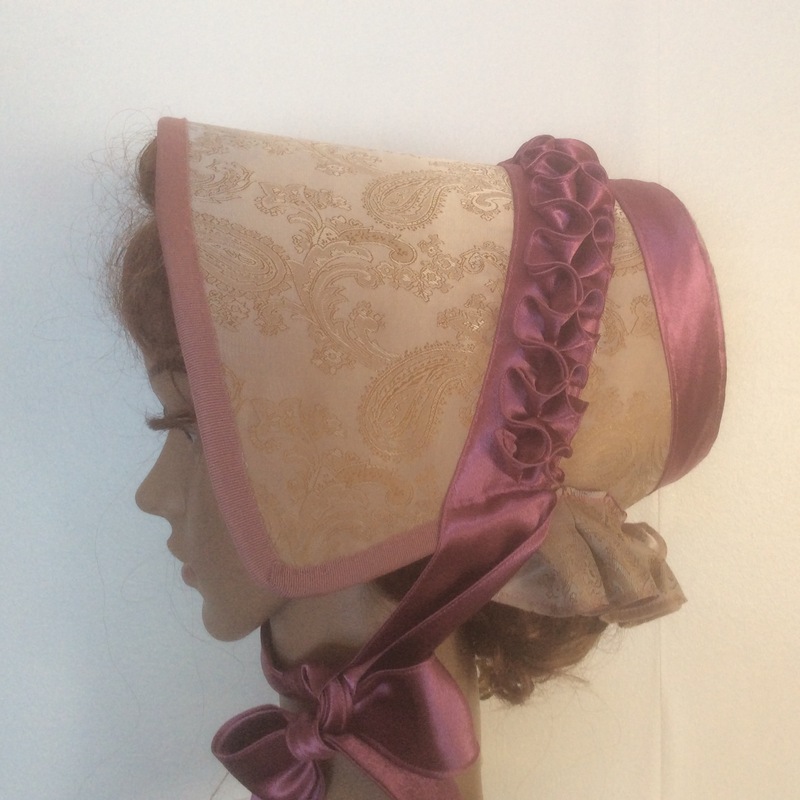 The Victorian Bonnets shown have been used by the ss Great Britain in their 'Flash Bang Wallop' exhibition during 2016. We offer a special price for museums wishing to take advantage of this service. 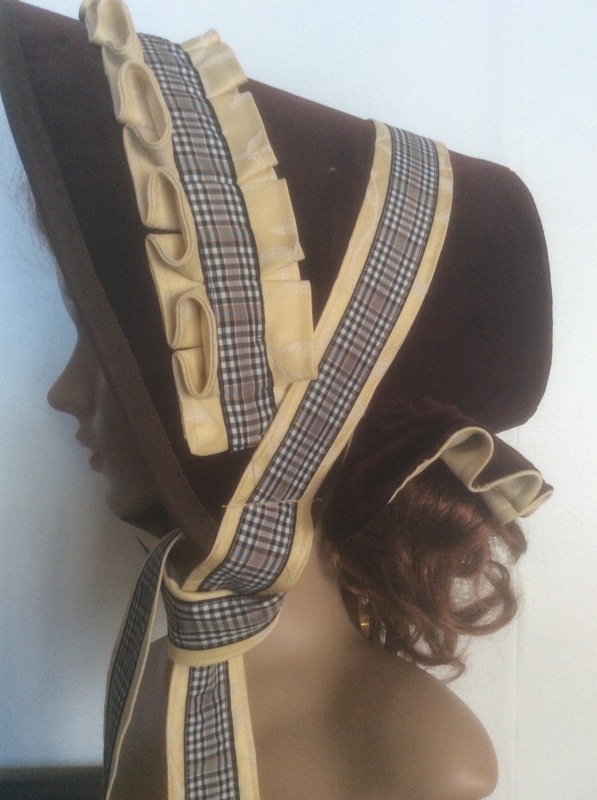 The poke bonnet was a favourite during both early and later partrs of the 19th century nd at times almost completely covered the face of the wearer. frnech ladies wearing poke bonnets were called the 'invisibles' because the cone shape shielded their faces so well, you could not see them! 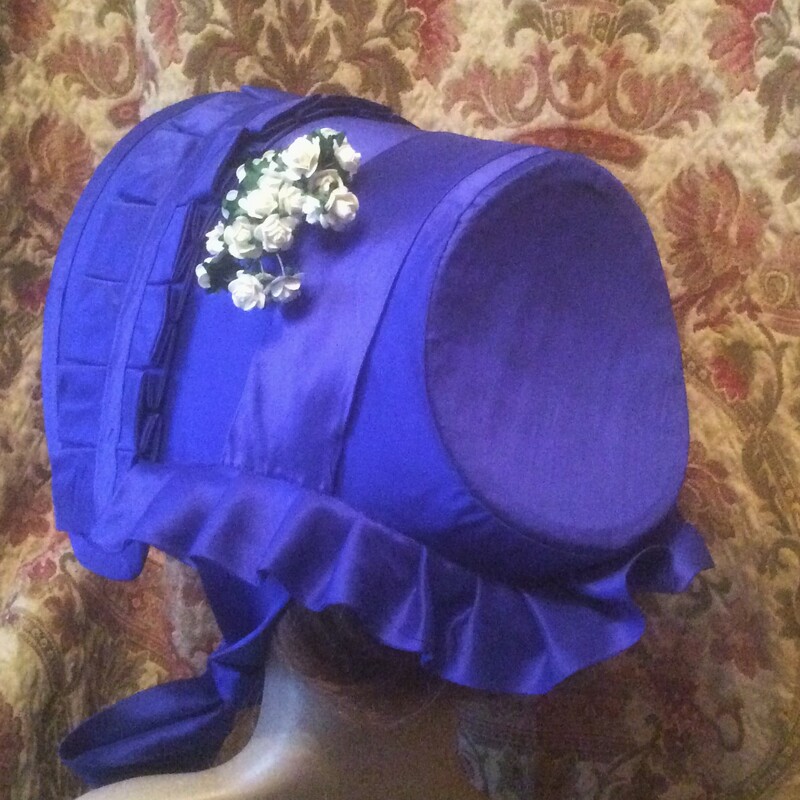 This version is made in blue silk with a white silk lining and is decorated with a pleated band and white artificial flowers. 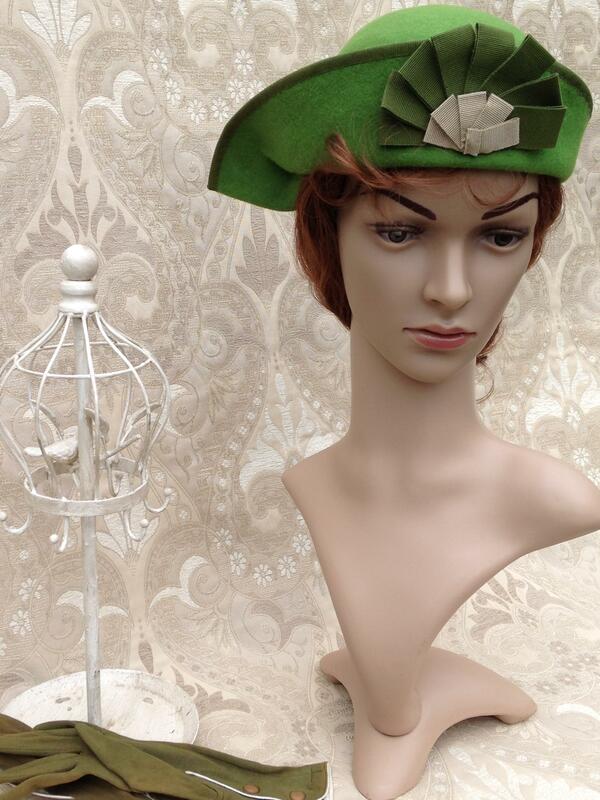 This is a copy of an 1815 tree bonnet with a stiffened buckram brim added to a felted crown. 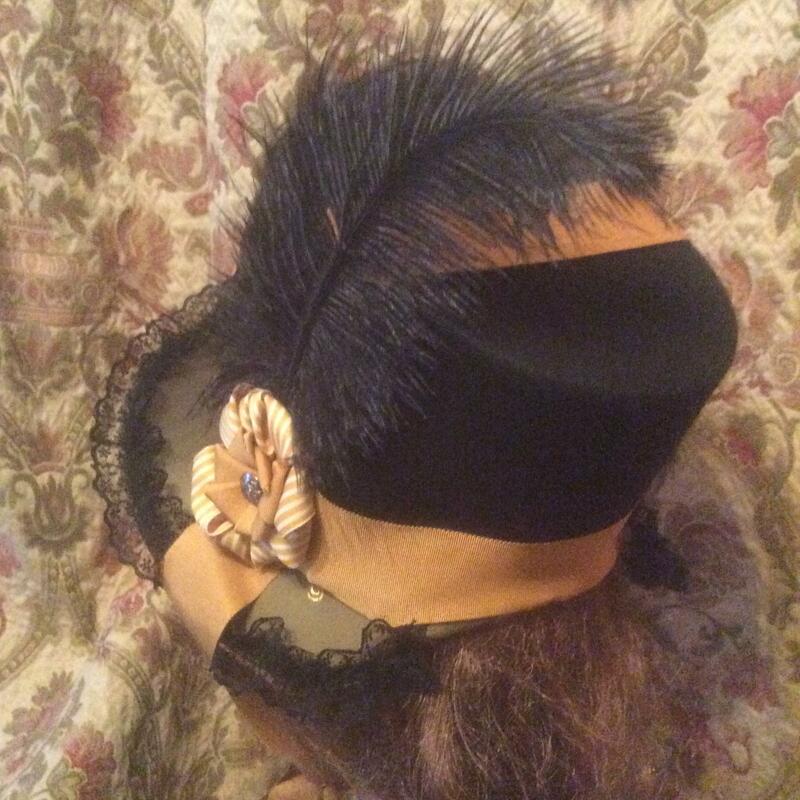 It is decoraded with petershm ribbon over the crwn and tip, around the base of the crown and tying under the chin. 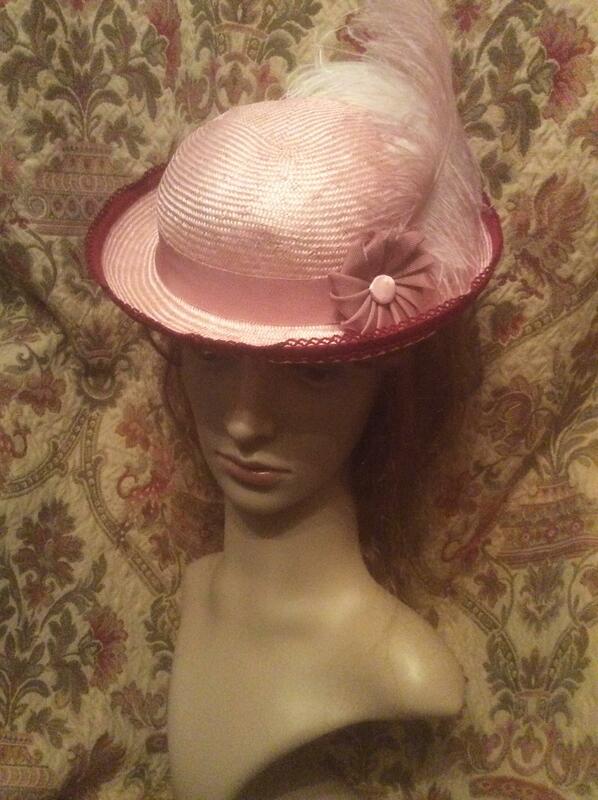 It has a lace brim adge and a cockade decorating the side.